Vero, an ad-free social media platform that does not mine data or use algorithms, today announced Vero’s Great Guitar Giveaway. The contest will be a year-long series of giveaways to Vero users in conjunction with donations to charities chosen by musical artists. The program extends Vero’s commitment to supporting the arts and creative communities worldwide. At the end of each monthly round, winners will be chosen to receive guitars (valued between $1,500 – $3,500 each). 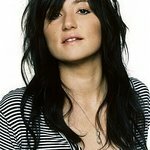 The first contest launched this week and will be judged by multi-platinum singer-songwriter KT Tunstall. “Music has the ability to not only transcend language, but also allows us to express ourselves in a way we maybe otherwise cannot. I’m so grateful to be working with Vero and War Child to give kids in these impossible situations an opportunity to express themselves and play,” said KT Tunstall. Discover how Vero can inspire you and people around the world to achieve their musical dreams. Vero is currently available free on the Apple App store and Google Play worldwide.